We meet up with BayStartUP. The financing network has already assisted a number of startups from the beginning steps to successfully brokered capital. In addition to providing assistance in business planning, BayStartUP is also known for its phenomenal contacts on the investor scene. The team also brings startups into contact with industrial firms who are interested in working with young companies. 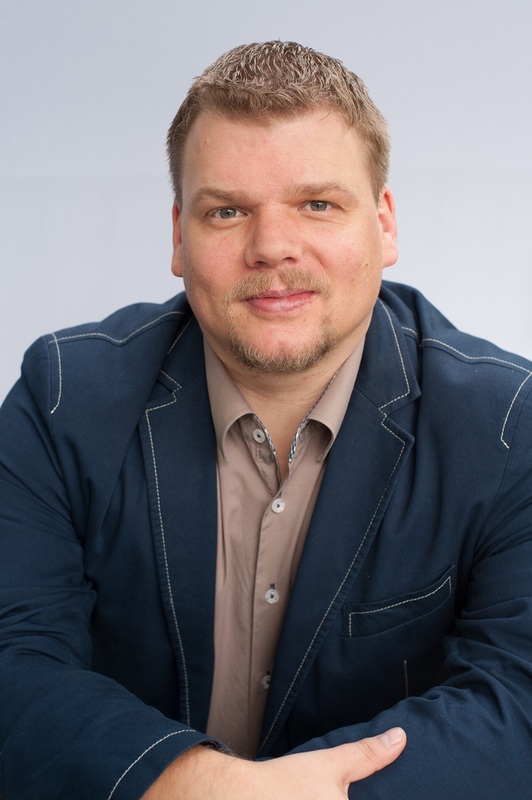 How that works exactly was explained in more detail by Harald Wagner, BayStartUP coach and head of the Munich Business Plan Competition, in an interview with Munich Startup. 40 million euros for startups — in 2015 alone! Our name comes from “Bayern” (German for Bavaria) and “startup”. We view ourselves as a central point of contact in Bavaria for startups and investors who find startups exciting. We hold the Munich Business Plan Competition every year, as well as the Northern Bavaria Business Plan Competition. We additionally provide individual startup coaching, specifically to prepare for investor meetings. We also introduce startups to investors. Our financing network includes angels, venture capital (VC) providers, corporate VCs and public VCs. We are one of the largest networks in Europe with several hundred investors with almost 40 million euros of capital brokered in 2015. We manage it all with our team of 15 employees with offices in Munich and Nuremberg. Vital support is provided by the Bavarian Ministry of Economic Affairs and by our industry sponsoring partners, such as LfA Förderbank Bayern, HypoVereinsbank, Siemens and many more. This enables us to offer startups the services we mentioned free of charge. This makes it possible to support several hundred founders and startup teams throughout Bavaria with their business planning, financing and initial steps for achieving growth. The winners of the 2015 Munich Business Plan Competition with their well-wishers. We are generally geared towards helping every innovative startup in Bavaria. We are open to all industries. However, we do focus on tech-based startups with a high level of potential in financing and growth. Our startup coaching focuses predominantly on defining and rethinking a business model to give a startup the best opportunities for growth. Innovation can be found not only in a product, but also (almost) always in the business model! …be close to customers from the very beginning, regardless of whether they are companies or consumers. The most technically innovative product will not sell if it does not offer a relevant benefit to the customer, or when a startup does not know which decision makers it needs to reach. This means that a startup should get constant and early feedback from potential customers and know their industry! A target industry can also change in an instant. Why would a good startup even need someone like BayStartUP to back them? We get into the game when it is time to perfect the business plan and initiate early financing rounds; from Seed to Series A. For business planning, we mostly offer feedback, expertise and “a view from the outside”, be it from the jury in the business plan competitions or during coaching. 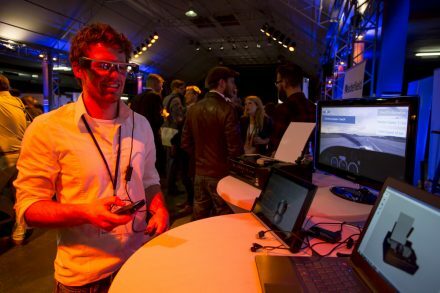 Images from a Startup Demo Night, which BayStartUP regularly holds with WERK1 in Munich. Startups present their innovations to “Anfassen und Ausprobieren” (Touch and Try)! For financing, we know which investors might be a match and what the potential capital providers expect from a startup. Last but not least, we keep in contact with investors and provide targeted access as opposed to “blind contact”. This particularly applies to business angels, since not many of them are known to the public. Our stringent selection process ensures that we receive quick feedback from investors. … turnover, profit and cash flow. These criteria (once again) supersede click rates and user figures when it comes to financing. • The extensive selection of highly-skilled employees from universities and other companies. All of it makes the Munich startup ecosystem particularly well-founded and well-tailored for sustained success. In general, anyone in the BayStartUP team who they might meet, for example at the startup events here in Munich. More information is available on our website. Startups who are interested in individual financing coaching will also be able to find a two-page application for our financing network.